One of the World's Largest online custom marble & bronze designers for commercial and residential applications. We have one of the largest showrooms with a wide selection of inventory including fireplaces, fountains, statuary, columns, monuments, memorials, balustrades, architectural design elements and much more... Feel free to reach out to us, we would love to hear from you! Unlike machine carving, all of our products are hand carved by our highly skilled artisan carvers, because quality is our number one priority. Naples Fireplaces. We can service or install any type of fireplace including custom fireplaces. Masonry, isokern, factory, electric, propane, natural gas, ethanol, modern, linear, fire pit, fire bowl, & outdoor fireplaces. Grate Fireplace & Stone Shoppe was founded in 1983. We have been a family owned and operated company since our founding. We service Lee, Collier and Charlotte Counties. We install prefabricated and masonry fireplaces, Eldorado Stone and related products, fire pits and everything related to fireplaces. We work with homeowners who are remodeling and with contractors who are building new homes. Our work is all in-house, meaning we do not subcontract our work. Our staff is experienced, friendly and knowledgeable. Custom Pre Cast Stone Custom, Indoor / Outdoor Intertainment areas. Southwest Florida's leading fireplace supplier, installer and servicer. Once upon a time, fireplaces were central to the home — meals were even cooked in them. Fireplaces go beyond physical comforts too, offering psychological and emotional warmth even in modern households. However, installing a new fireplace can go wrong, quickly. There is a lot to keep in mind, and there are plenty of safety measures that you need to get right. 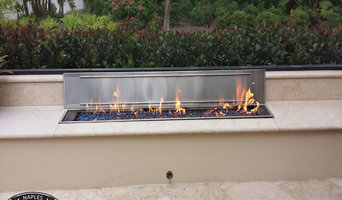 Reaching out to a Naples Park, FL fireplace professional can help you find the right unit for your home and make sure it’s installed correctly. What should you know about buying a fireplace in Naples Park? Since wood smoke contributes to air pollution, many cities have banned the use of wood-burning units. If you’d like to buy a wood burning unit, check the Naples Park, FL city policies first. If your home already has a wood-burning unit that you’re concerned about, contact a fireplace manufacturer to replace your wood-burning unit with an environmentally friendly electric or gas alternative. Gas inserts can be efficient heaters and may lower your electric-heat bill. Many adjust to provide high heat on a cold night or a low-burning flame for ambience. Interior fireplaces and mantel designs are as varied as home interiors. From custom fireplace mantels made to conceal a flat-screen TV to custom hearth designs with elaborate Renaissance-style stone mantels, the latest designs can be found by visiting Naples Park, FL fireplace showrooms. Find fireplace manufacturers and showrooms, plus fireplace installation professionals, on Houzz. 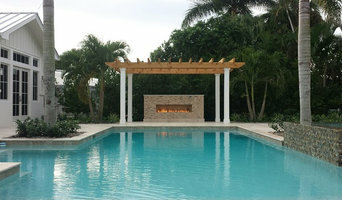 Go to the Professionals section to find Naples Park, FL fireplace design and installation experts.